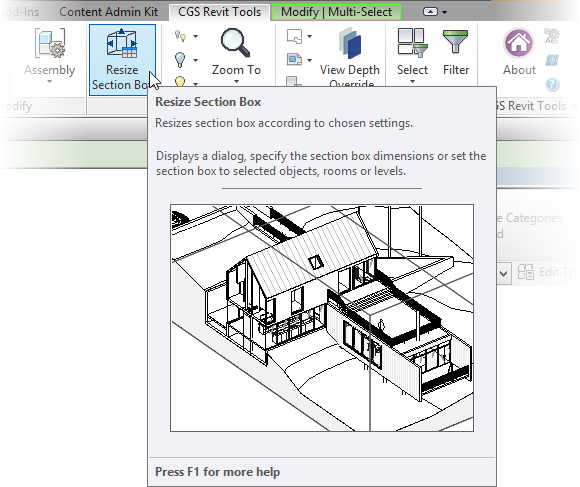 Awhile back, I published a series of posts about the CGS Revit Tools. 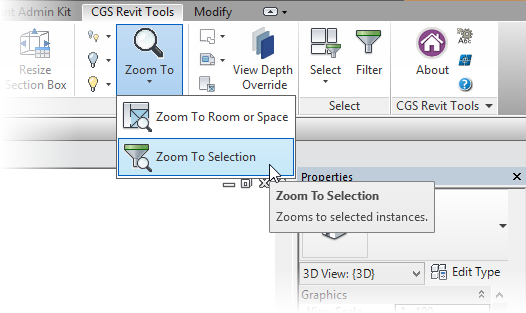 I was invited by the developer to review the tools and post my thoughts about them on Revit Add-ons, and I finally made time to do just that. 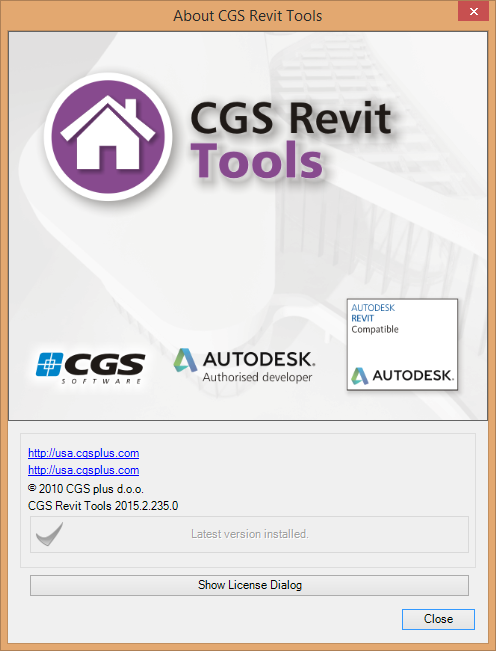 From the vendor's website: "CGS Revit Tools enhance functionality and improve usability of Autodesk Revit Architecture, Structure and MEP resulting in more efficient project design." I downloaded the trial from the CGS website. After providing my contact information, the site emailed me a link for the download. After the download completed, I ran the .exe file. 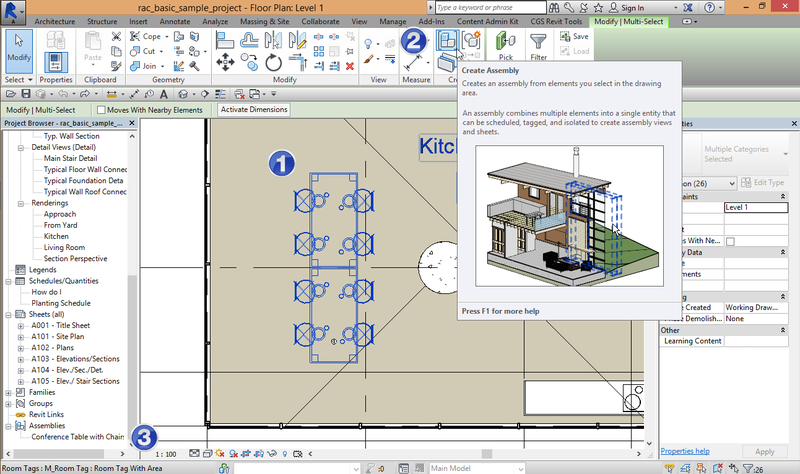 The program installed painlessly, and the tools were in the interface when I next launched Revit. On the downside, the trial registration process felt a little too invasive to me. Requiring a phone number in this day and age might be a little over the top. I think name, email address, company, city, state/province and country should be enough information for acquiring a trial version of any software. 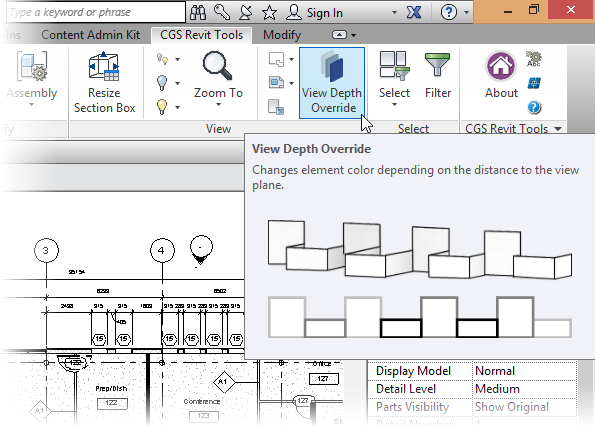 Each tool has Revit-style contextual help within the interface, some with videos. Pressing <F1> launches a corresponding video on YouTube. These are short, demo-like videos. 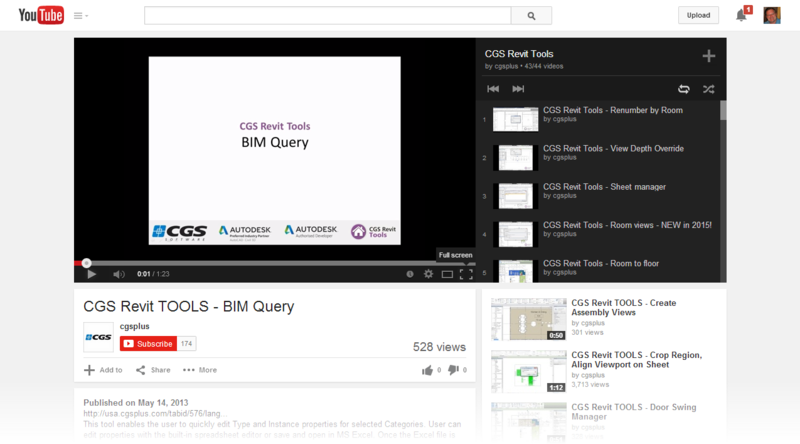 For instance, the one for the BIM Query tool, a pretty powerful tool at that, is only 1 minute and 23 seconds long! 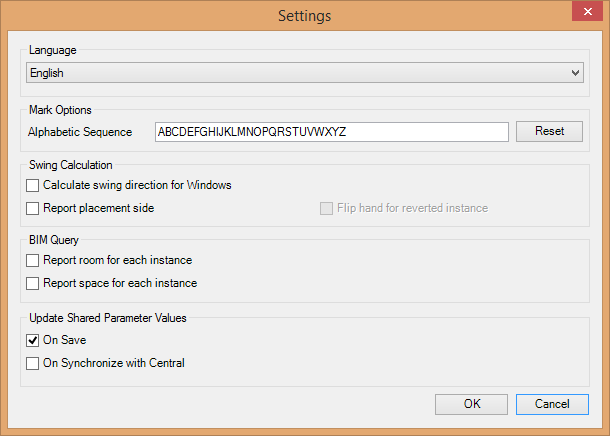 There's nothing here to help with exploring workflows, settings, advanced usage, etc. The videos are part of a playlist on YouTube, so the next video, covering a different tool, starts automatically. I for one prefer written documentation that thoroughly explains options, workflows, etc. Yes, I know that thorough, image-rich documentation takes a long time (believe me, I know), but it also shows a level of care that's important. Having said that though, I did watch a few of the videos while writing this article and they were useful. 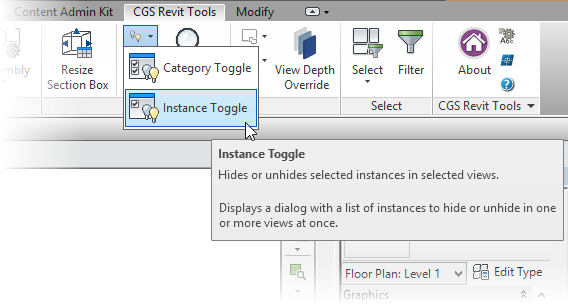 The tools install to a CGS Revit Tools tab in the ribbon. 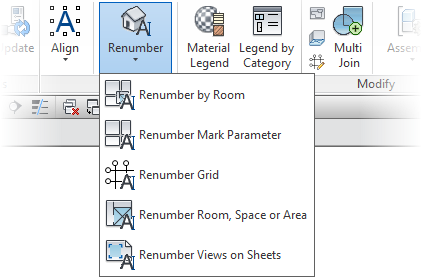 For the most part, the icons are pleasing and follow the Revit interface standards. First up is the is the BIM Manager panel. The first tool is Folder. 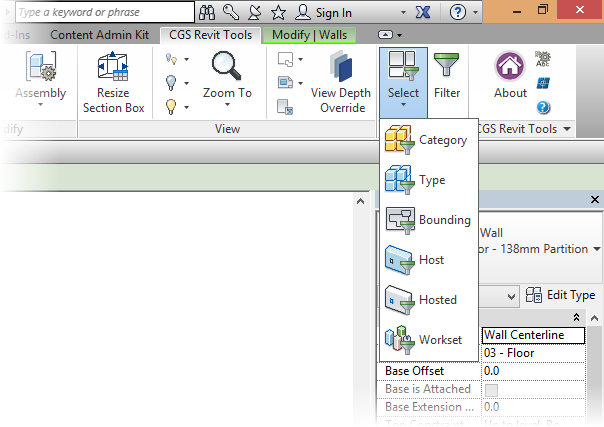 It opens an instance of Windows Explorer to the folder the active Revit file is in, with the file selected. Next up is the Export tool. 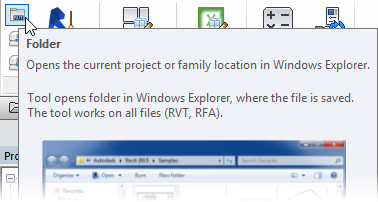 It's used to export families from the active project into a folder of the user's choosing. 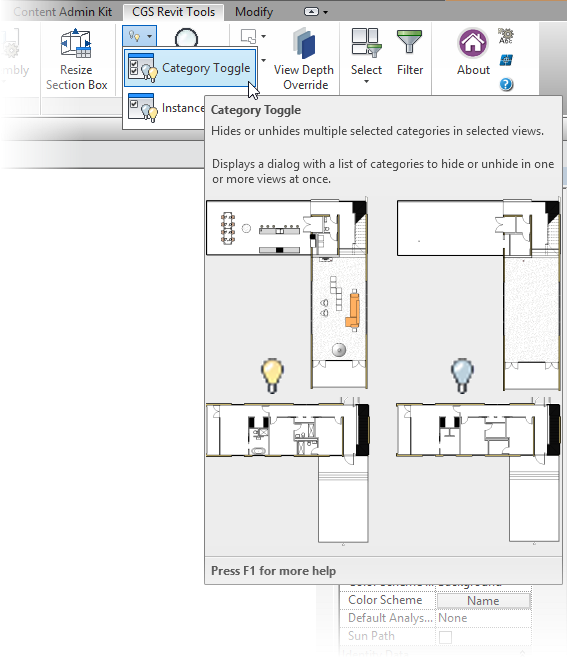 The contextual help says that selections are supported, but this didn't work for me. 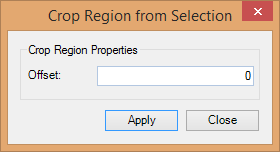 Instead I was presented with a dialog box where I could quickly select the families I was interested in exporting. 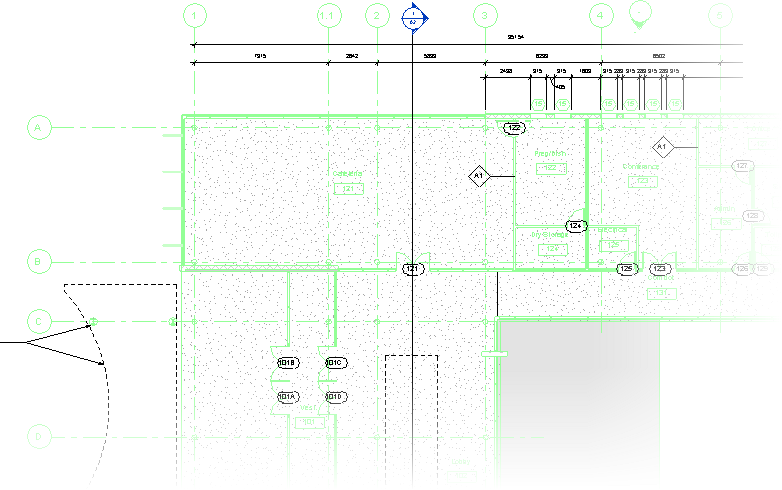 I selected all casework, doors and furniture. 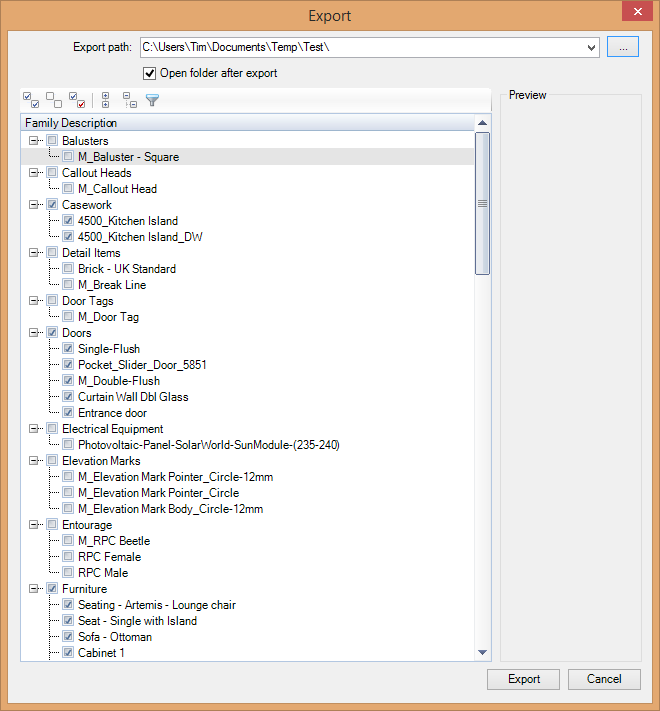 The Open folder after export option was appreciated. 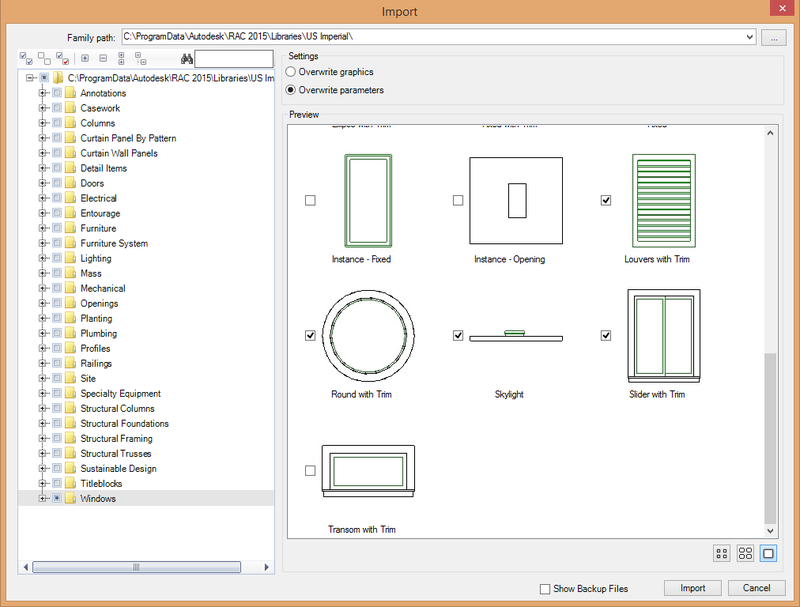 Next up is the Import tool. 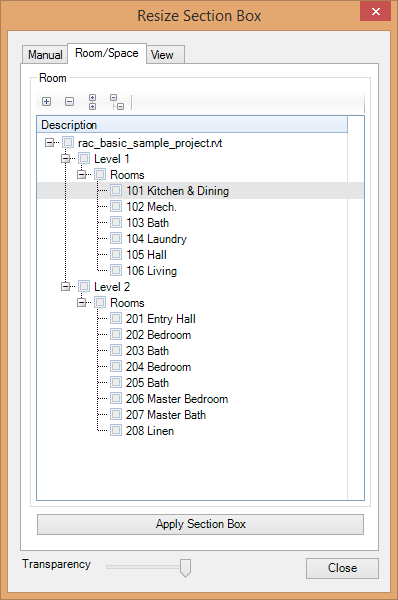 It's used to import multiple families into a project. The video did help with the workflow here. 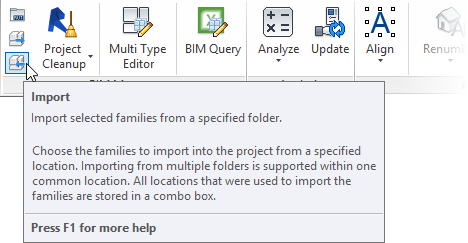 If one clicks on the checkbox next to a folder in the left hand pane, all the families in that folder are selected. 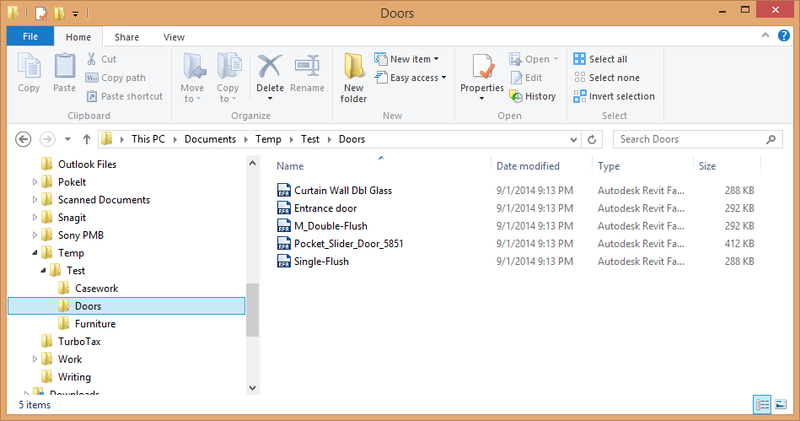 If one clicks on the folder itself, thumbnails for the families in that folder are shown and the families may be selected individually. 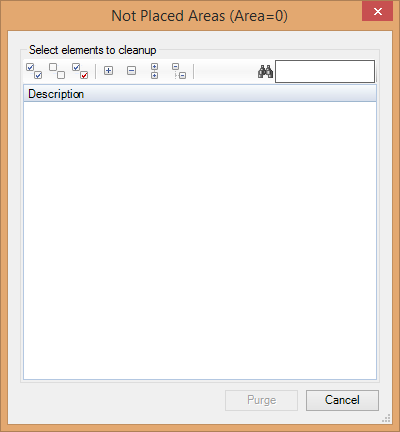 The Project Cleanup tool is actually a series of tools. 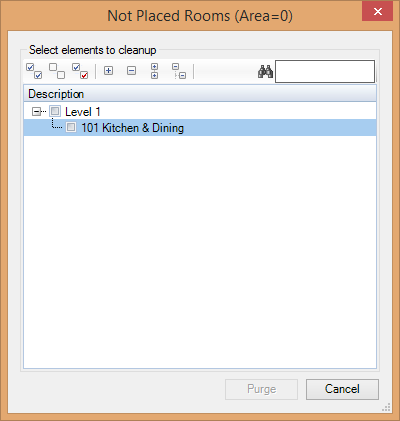 Finally, a way to quickly and easily cleanup unplaced rooms, areas and spaces? "Thank you sweet Lord Jesus!" (No offence intended.) Seriously though, thank you CGS! 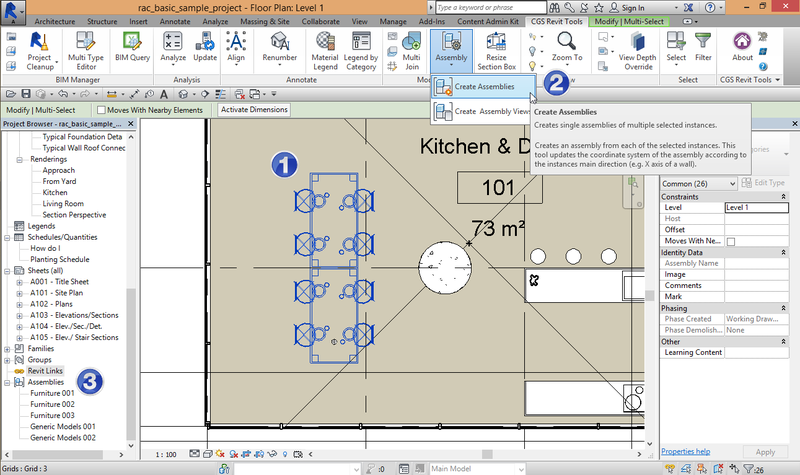 Here are screen captures to give you an idea of how each tool can be used. 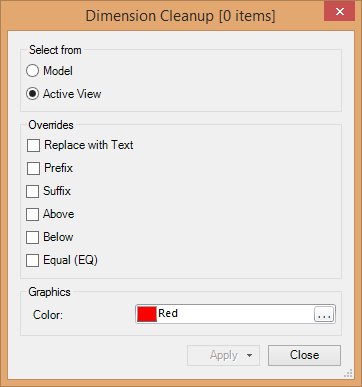 The Check views that are not placed on sheets option in the View Cleanup dialog is very much appreciated! Oh my, now we're cooking with fuel oil! 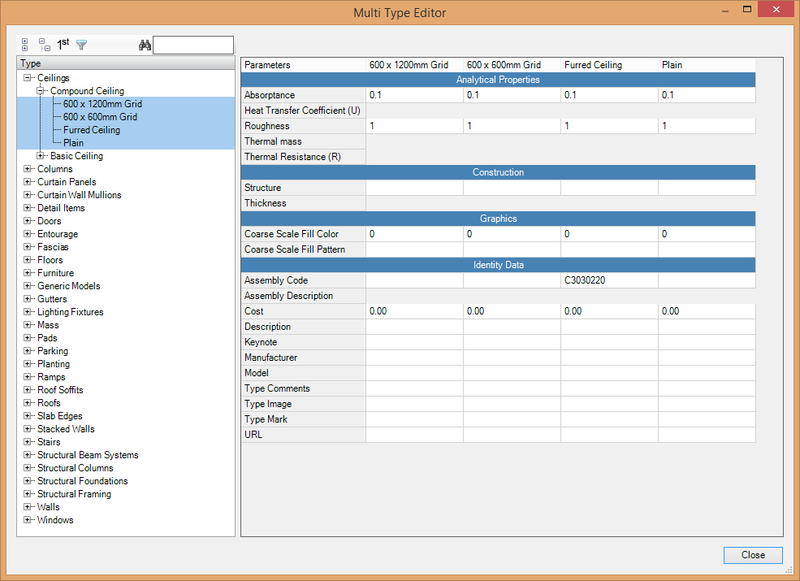 The next tool, Multi Type Editor, is used to edit multiple type properties within a family. 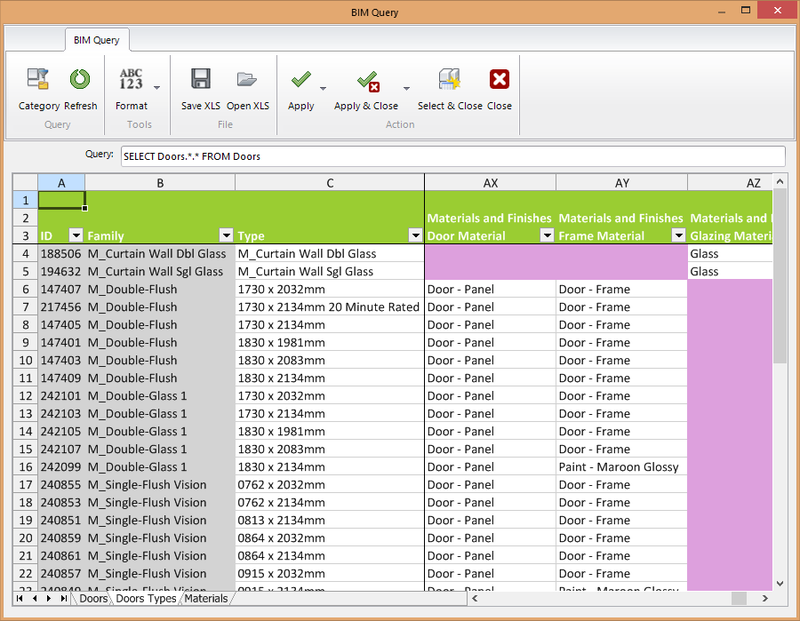 Up next is the BIM Query tool. 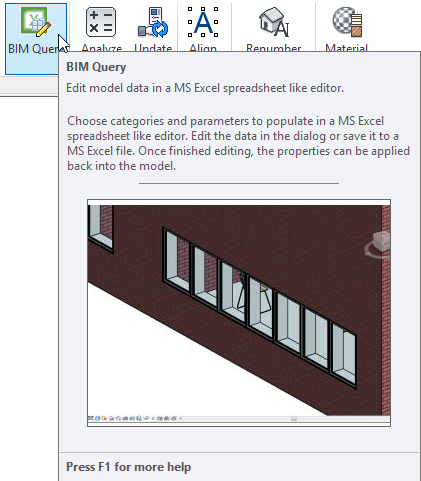 It's used to edit model data in an Excel-like window - actually, I'm confident stating that this is an instance of Excel imbedded in the BIM Query window! 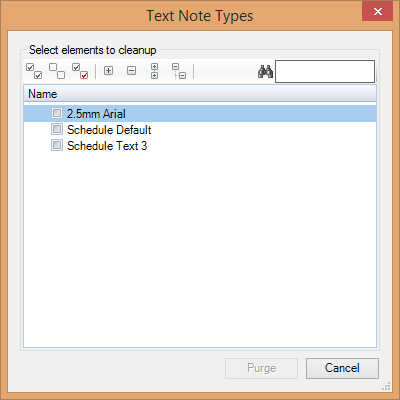 The data can also be saved to a .xls or .xlsx file, perhaps for editing by others. After editing, changes can be applied back to the model! Wow. 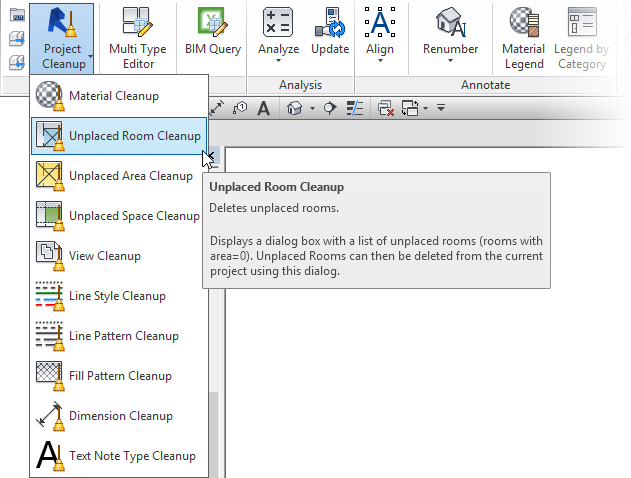 There are still A LOT of tools to go through and Project Cleanup, Multi Type Editor and BIM Query may very well be worth the price of admission alone. 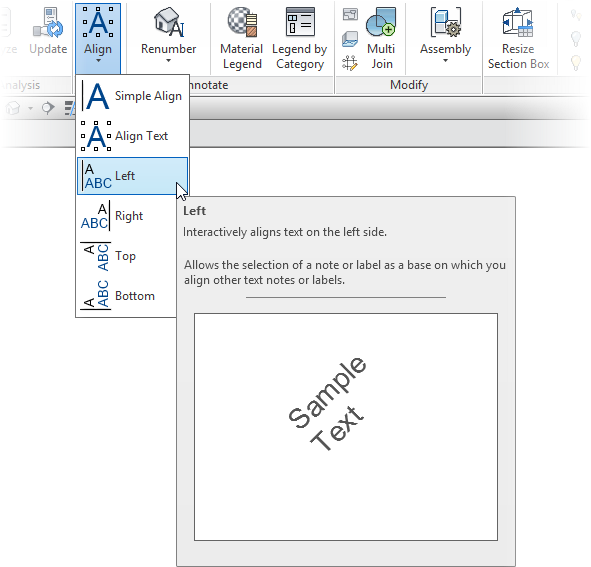 The second panel of tools is Analysis. 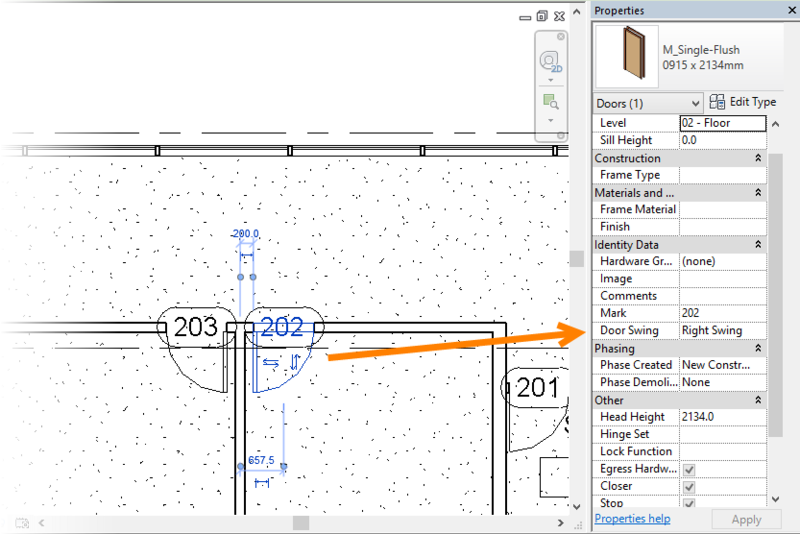 The first tool, Analyze, is actually a series of tools: Insertion, Thickness, Room Lighting and Swing Direction. 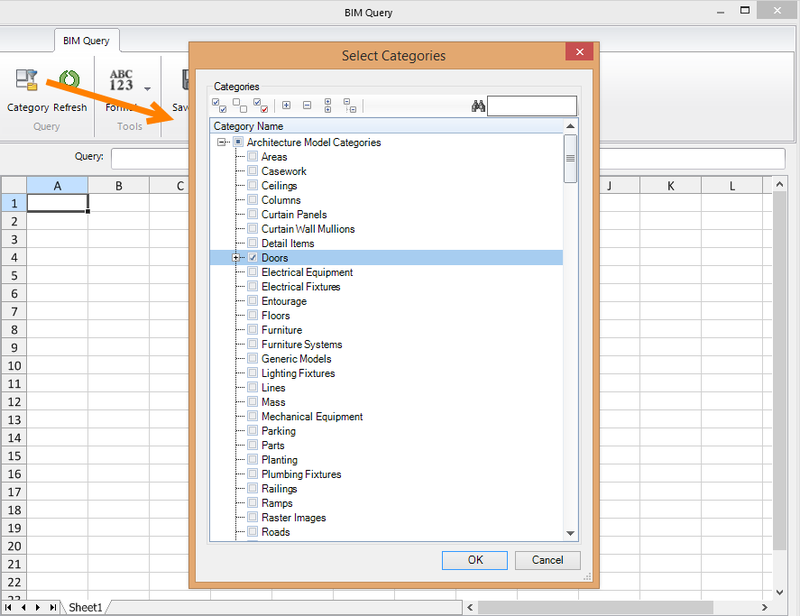 These tools query element properties and populate a series of shared parameters with the values. 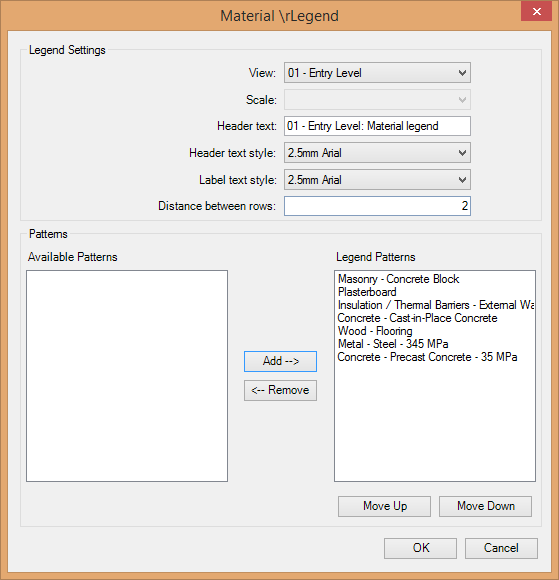 The parameter values may then be used in tags and schedules. 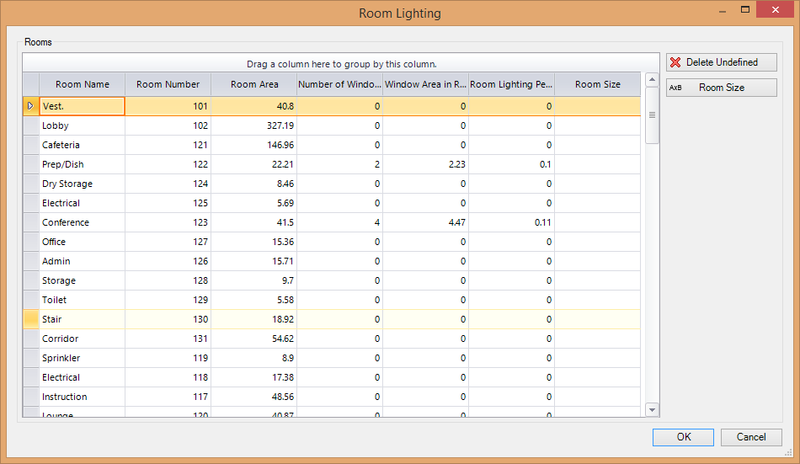 The Room Lighting tool calculates the volume of lighting for rooms as the ratio between the room area and the sum of window areas for each room. 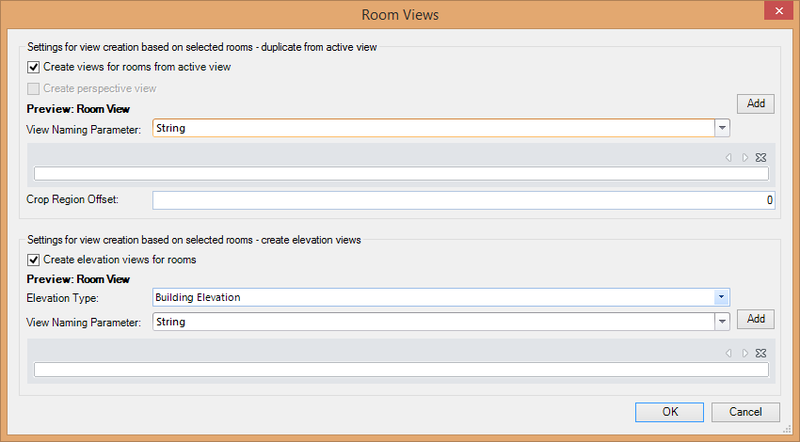 It also provides an editable dialogue box where one can change names and marks for rooms. 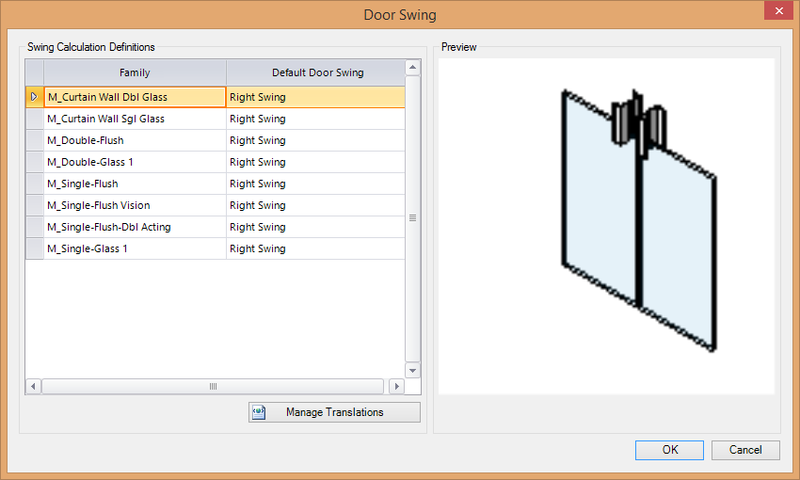 The Swing Direction tool calculates the swing direction of all the doors in the project. 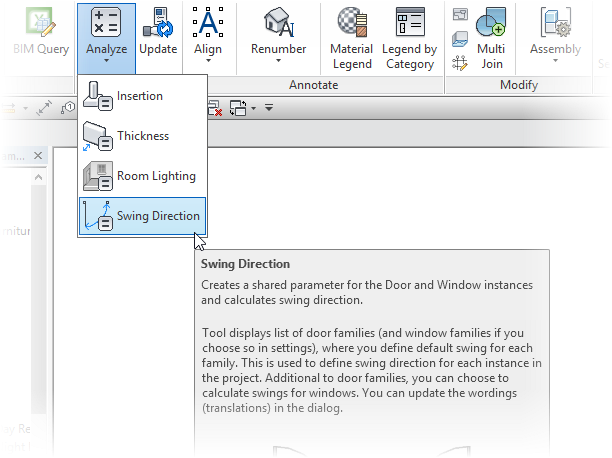 The Swing Direction window is used to define the default swing for each door family, though I don't understand the usefulness of this. The Swing Direction tool in particular is killer. 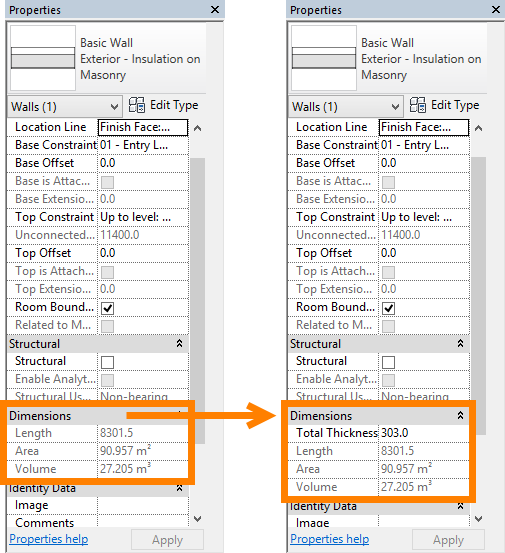 It's more than a little confusing that the Insertion and Thickness tools are used on individual elements while Room Lighting and Swing Direction process all the elements in the file. 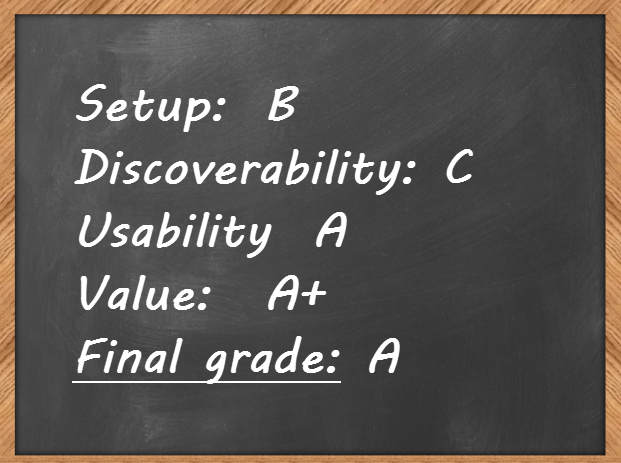 For myself, I prefer the done-in-one approach of the latter two tools. 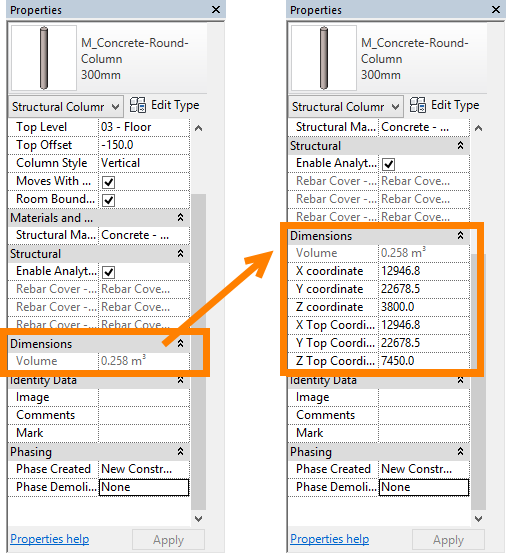 The Update tool refreshes parameter values that were created with one of the Analyze tools. Next up is the Annotate panel. 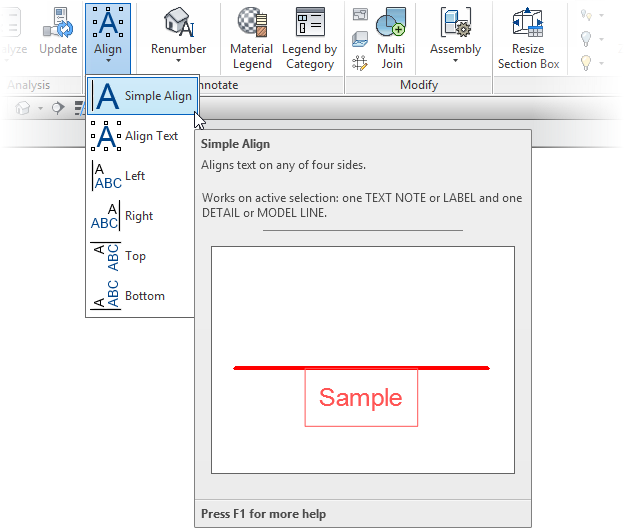 The first Annotate tool is Align, which is itself a grouping of tools. 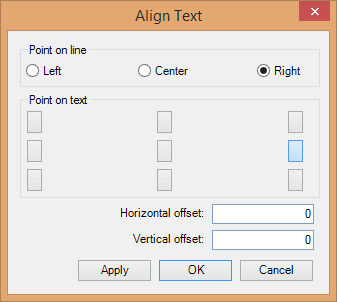 The Align tools are self-explanatory from their contextual help, and worked as advertised, for the most part. 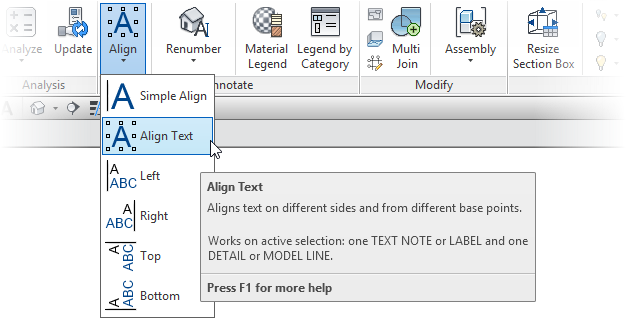 Although the contextual help states that Simple Align only works on one model line and one text note or label at a time, it worked for me with one model line and multiple text notes. 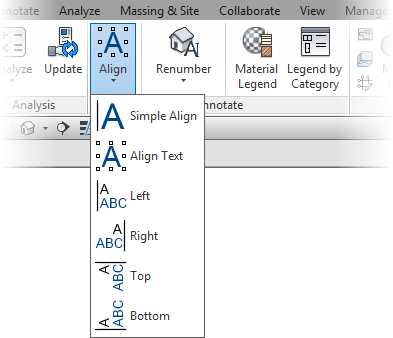 Align Text on the other hand only worked for me with a single model line and a single text note at a time. The Left, Right, Top and Bottom tools naturally work similar to each other. Again, the Renumber tool is a grouping of tools. 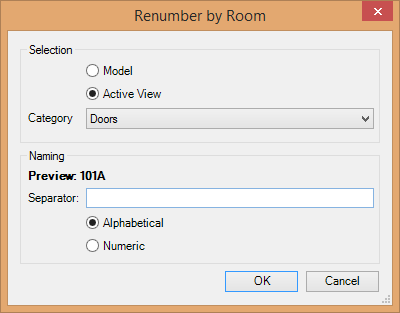 The Renumber by Room tool renumbers elements based on rooms they fall within. 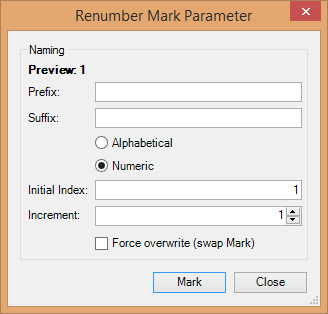 Use the Renumber Mark Parameter tool to renumber items sequentially. 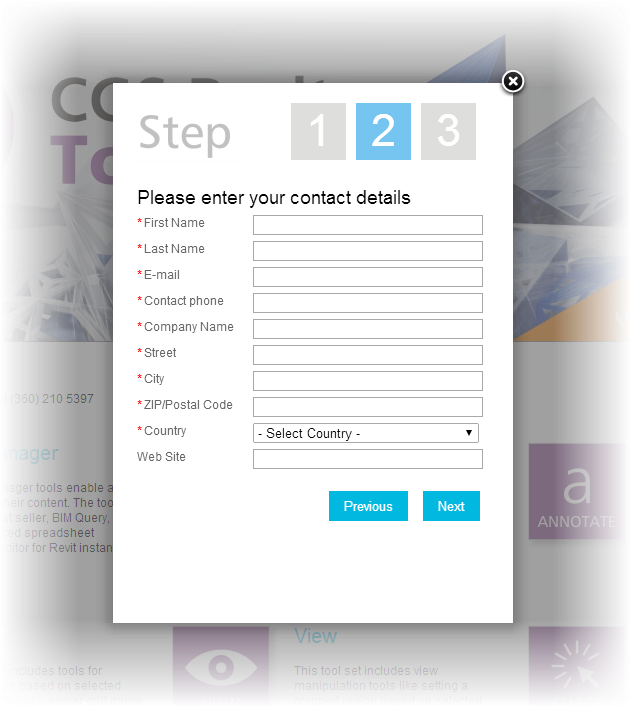 Simply set the desired options in the dialog box and then pick the elements in the order you want them numbered. The Renumber Grid tool works in the same fashion as the Renumber Mark Parameter tool. It's only the target element type that differs. Ditto for the Renumber Room, Space or Area and Renumber Views on Sheets tools. 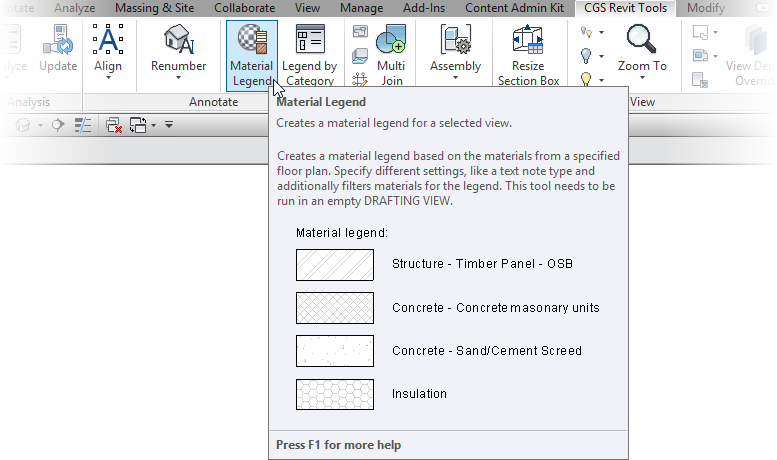 The Material Legend tool creates a material legend for a selected view. 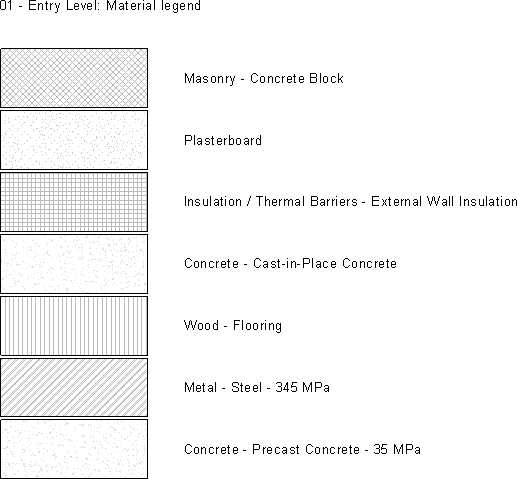 The material legend must be placed in a drafting view. 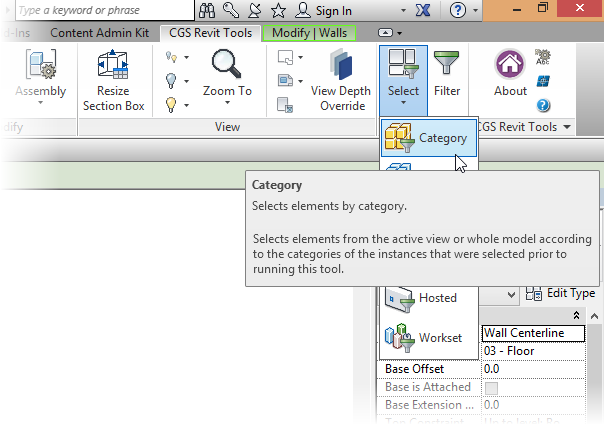 The next tool panel is Modify. 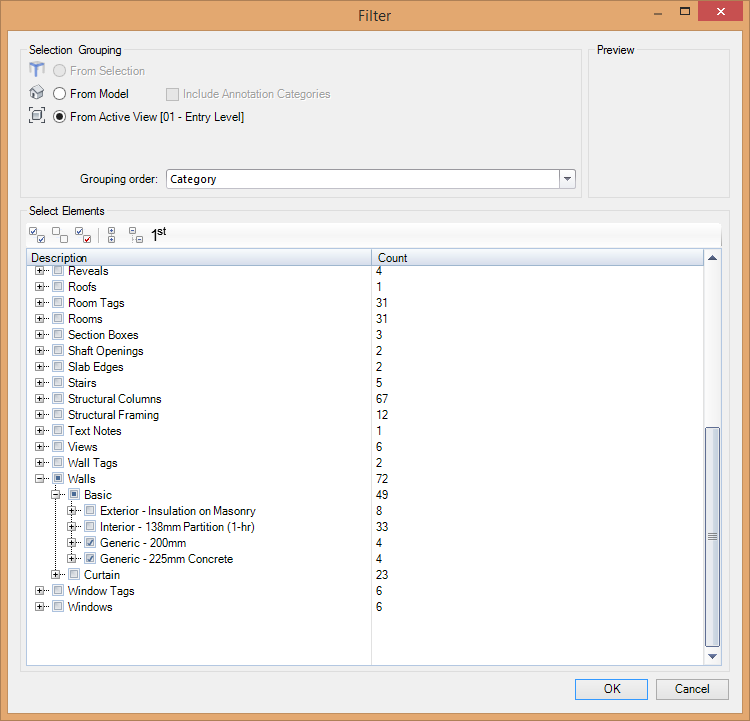 The first tool in the Modify panel is Draw Bounding Box. 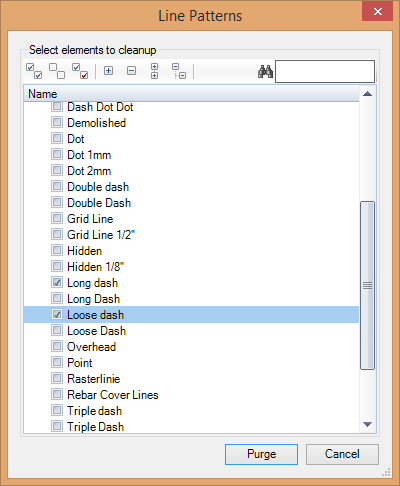 This tool is used to place detail lines around the selected elements. 'Nuff said. 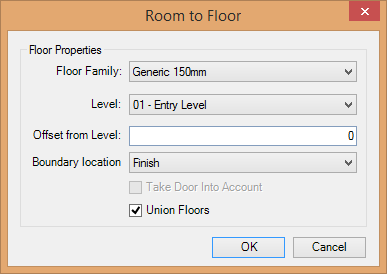 The Room to Floor tool is used to create floors from rooms. 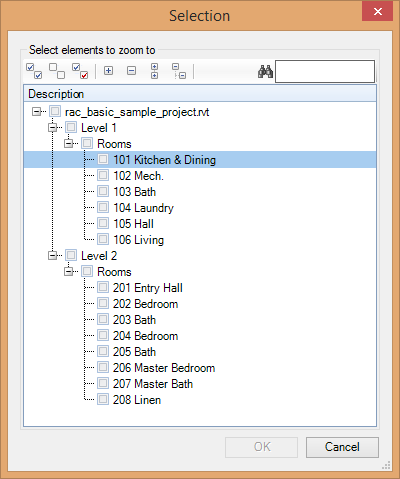 The tool operates on a selection set so many rooms may be processed at once. 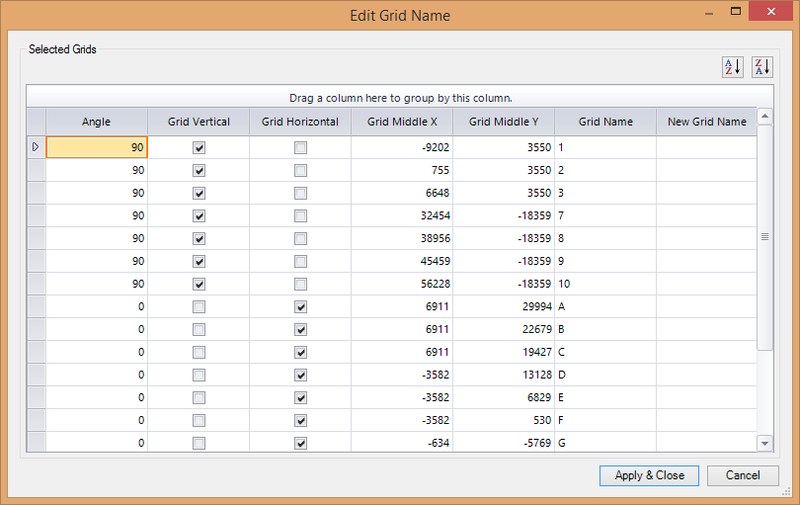 The Edit Grid Name tool is used to edit the selected grids' names in a dialog box. This a nice, convenient option. 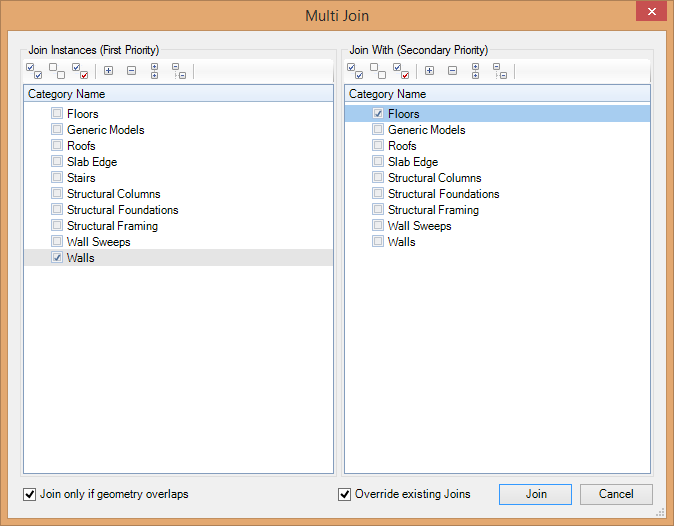 The Multi Join tool is used to join multiple elements together, such as walls. 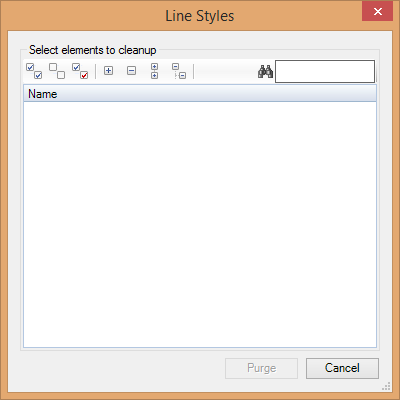 Rather than having to click on every element multiple times to join them together like the built-in tools, this tool operates on a selection. Ohhhhhh yeah! 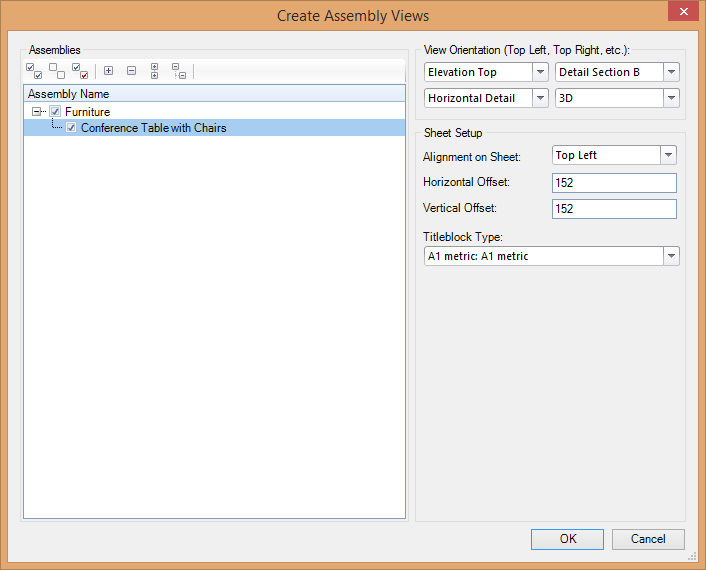 There are two Assembly tools: Create Assembly and Create Assembly Views. 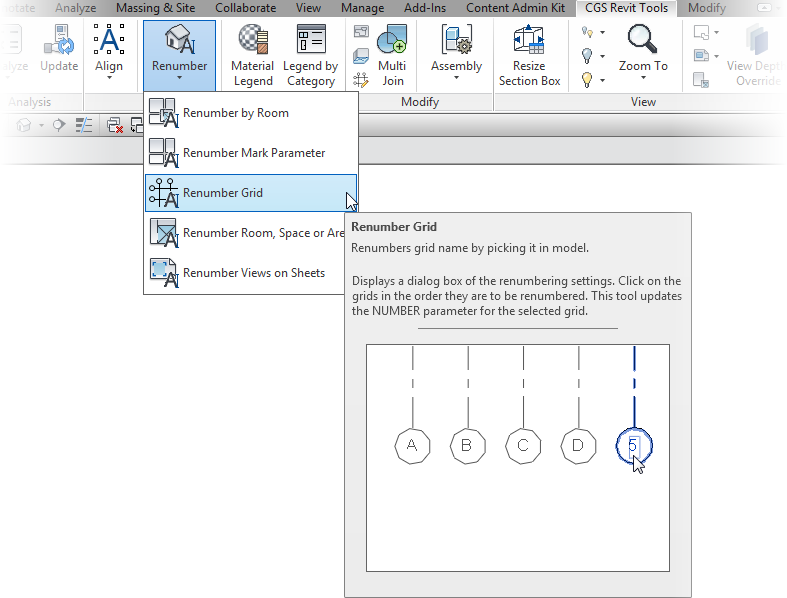 Create Assembly creates an assembly from the selected elements. 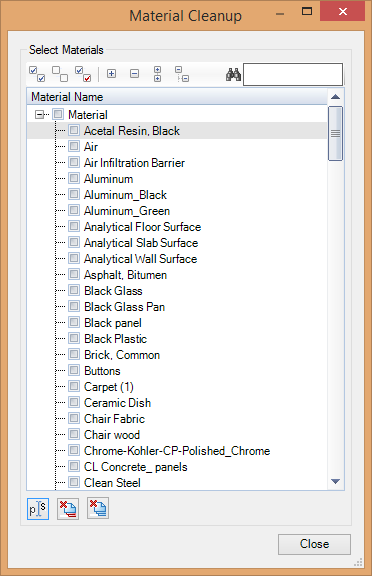 I had problems with it though - I wanted to create a single assembly and it created multiple assemblies. 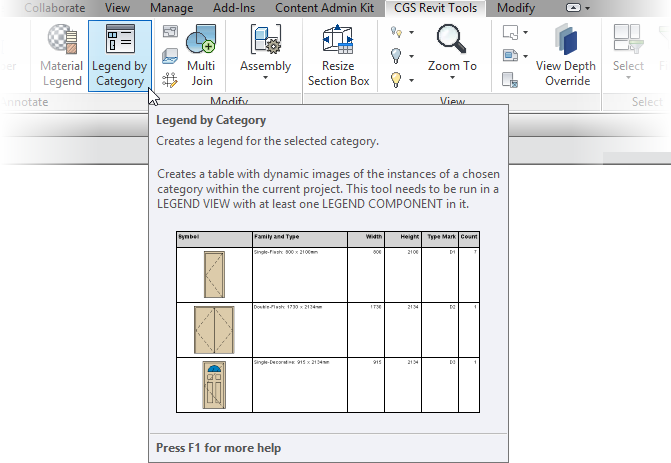 So instead I used the built-in Create Assembly tool to create the assembly. Here's where it gets interesting though. 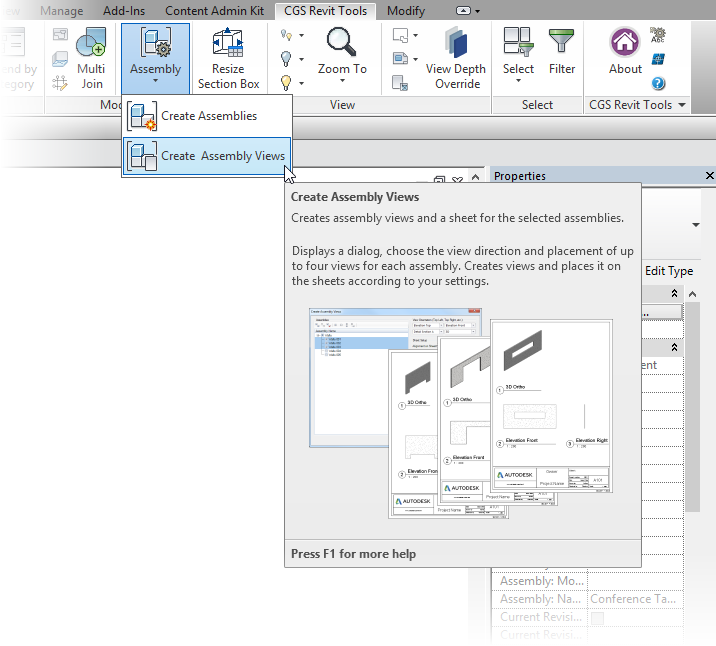 The Create Assembly Views tool creates a sheet and views for the selected assemblies. The View panel is next. 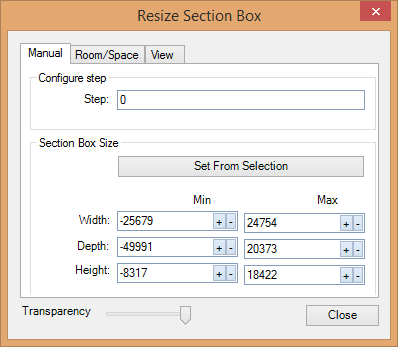 The Resize Section Box tool provides some options for resizing section boxes. 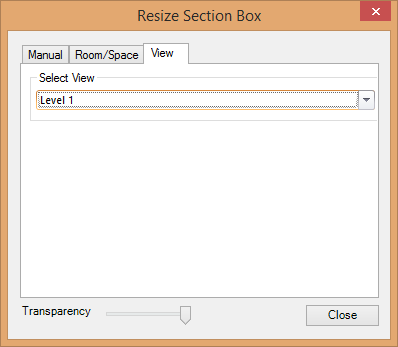 I'm not really wowed by the Resize Section Box tool. 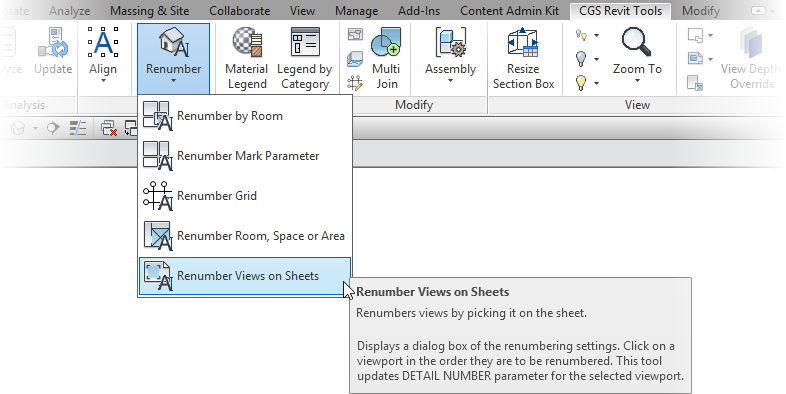 It gets the job done, and it's nice to have options to adjust the section box without actually having to view the section box element, but there's some stiff competition in the section box add-in space, with some of the add-ins available for free. 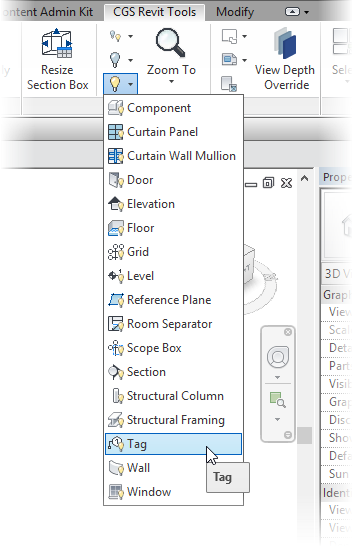 I think this is a tool that CGS could improve quite a bit, including the tools icon, which is the only one in the entire suite that seems out of place. 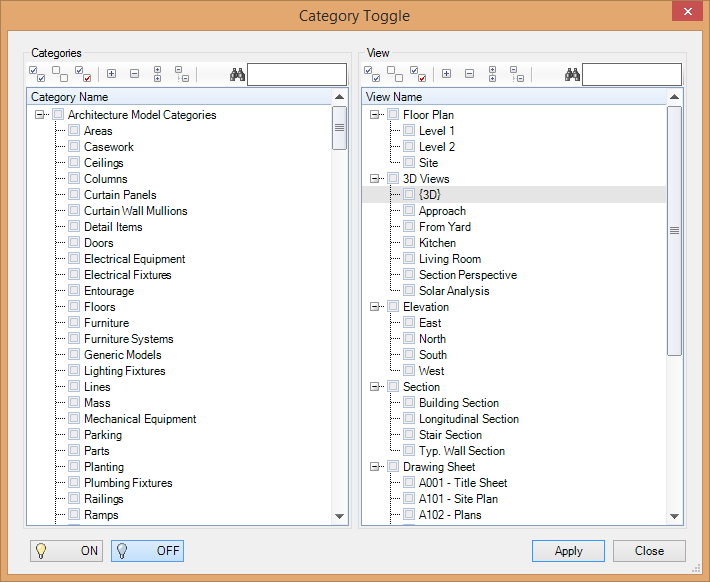 The Toggle Category tool is used to hide or unhide categories in multiple views. 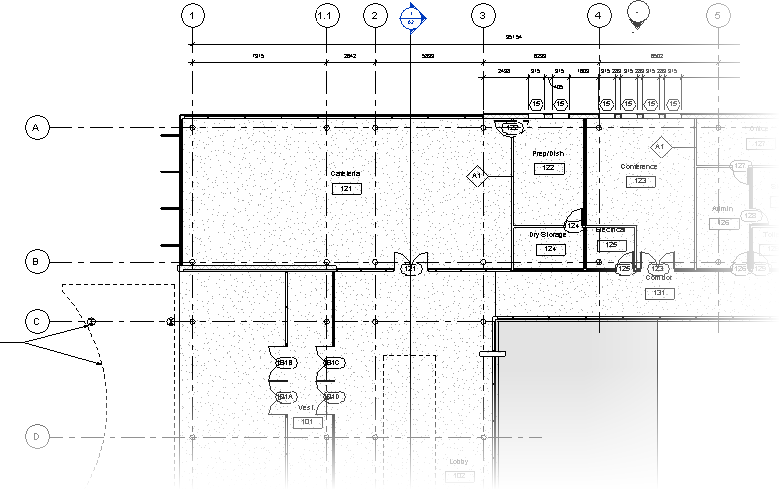 In Revit 2014 and later, this would probably be better achieved using view templates and Visibility Graphics settings. 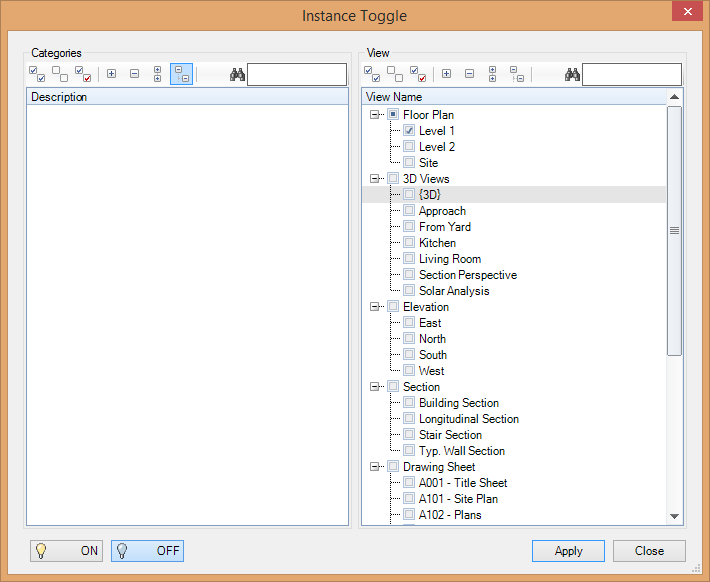 The Instance Toggle tool is very similar to the Toggle Category tool. Again, this might be better achieved with view templates. 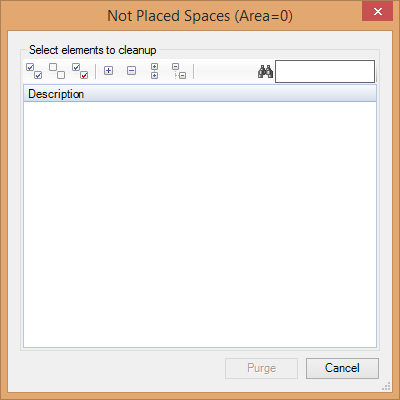 Next there are quick access tools for hiding and unhiding frequently used categories of elements. Clever and useful. 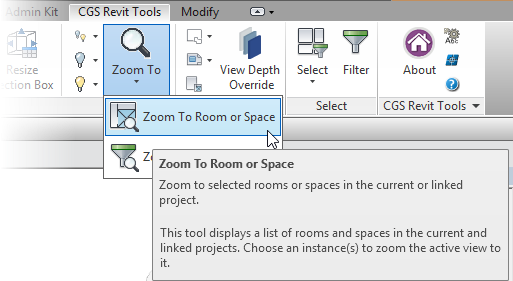 There are two Zoom To tools, Zoom to Room or Space and Zoom to Selection. These tools are self-explanatory. 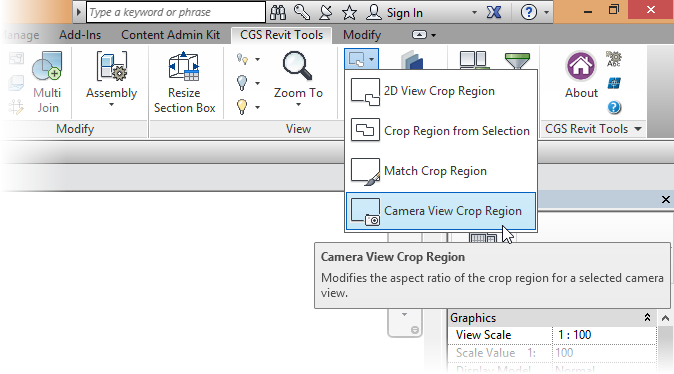 Next come a series of crop region tools. 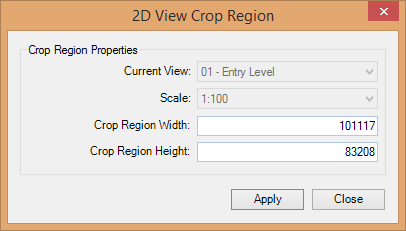 The 2D View Crop Region tool simply reports the width and height of the current crop region. 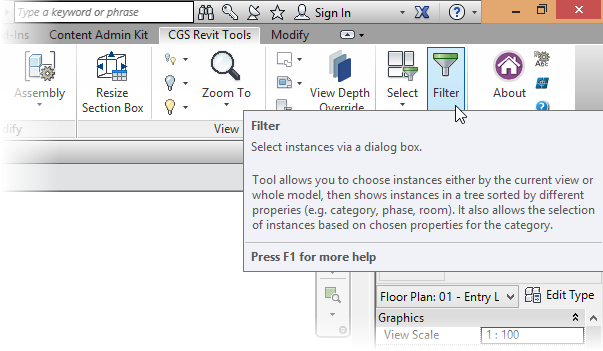 One may also change these value in the dialog box. 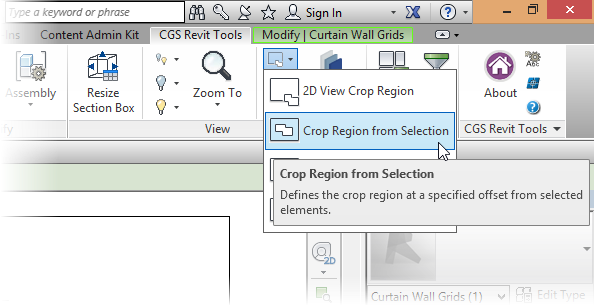 The Crop Region from Selection tool redefines the crop region to the extents of the selection, plus an offset if desired. 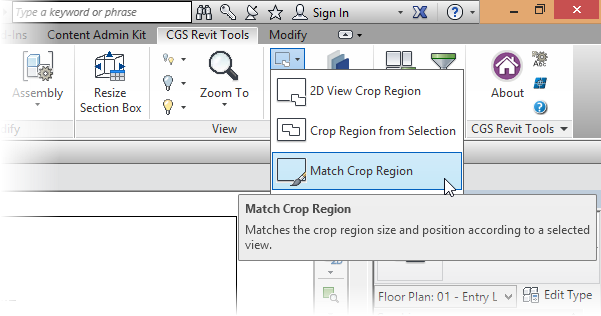 The Match Crop Region tool allows one to set the crop region in the active view equal to the crop region from the selected view. 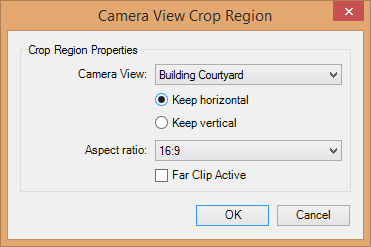 The Camera View Crop Region tool provides a few options for modifying crop regions in 3D perspective views. 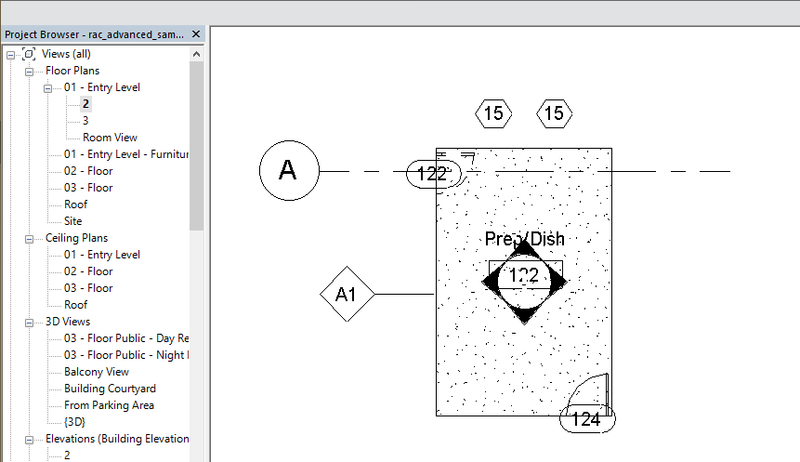 Counter intuitively, it must be used in a 2D view and the 3D view is selected from a pick list. 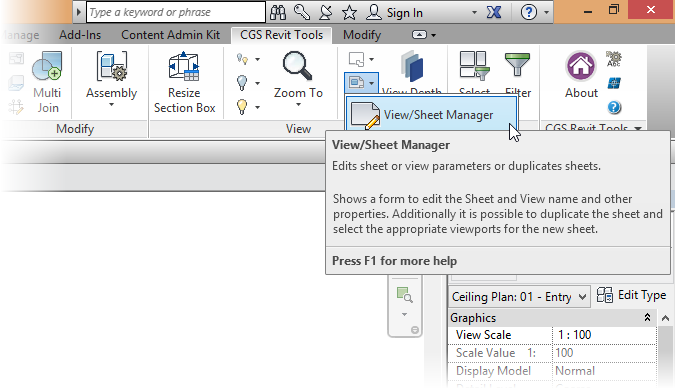 The View/Sheet Manager tool allows one to edit view or sheet parameters and to duplicate views. 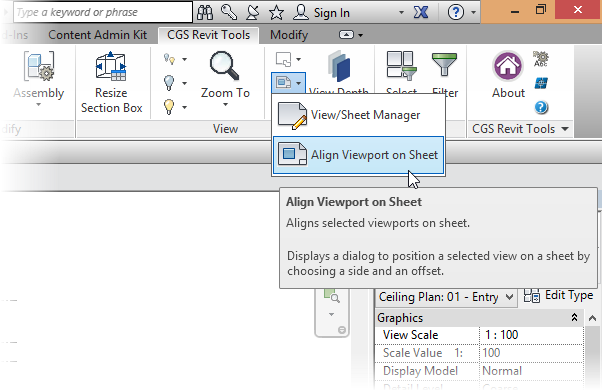 The Align Viewport on Sheet tool allows one to position viewports on sheets with repeatable precision. Handy for when one wants their drawing set to look, you know, professional. 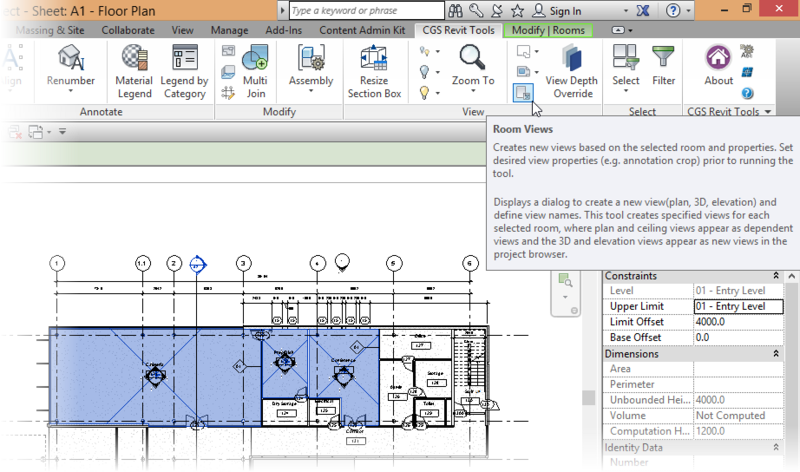 The Room Views tool provides a very convenient method for creating plan and elevation views from rooms. 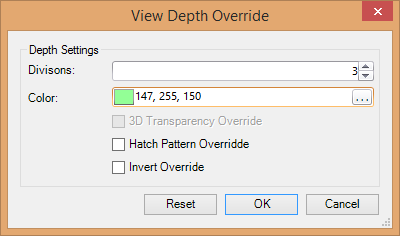 The View Depth Override tool is used to color-code elements based on their distance from the view plane. Up next is the Select panel of tools. 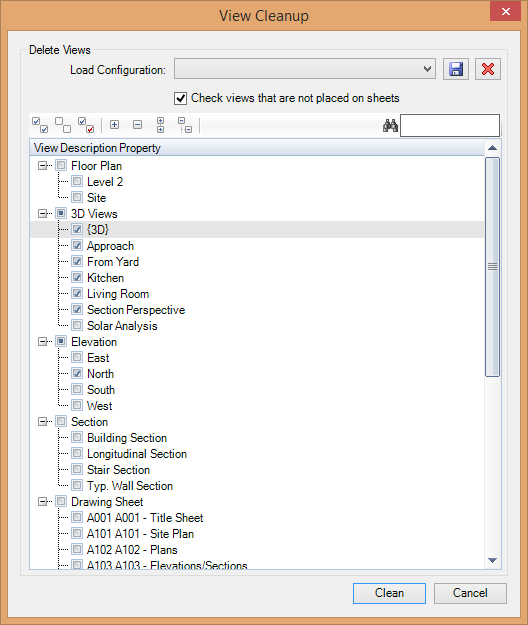 The first tool, Select, is used to select elements based on some criteria. 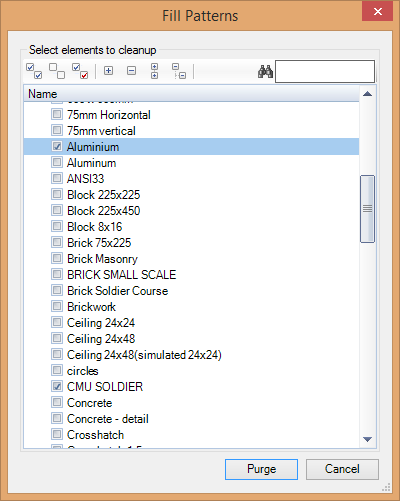 Select an element first and then select a sub-tool. 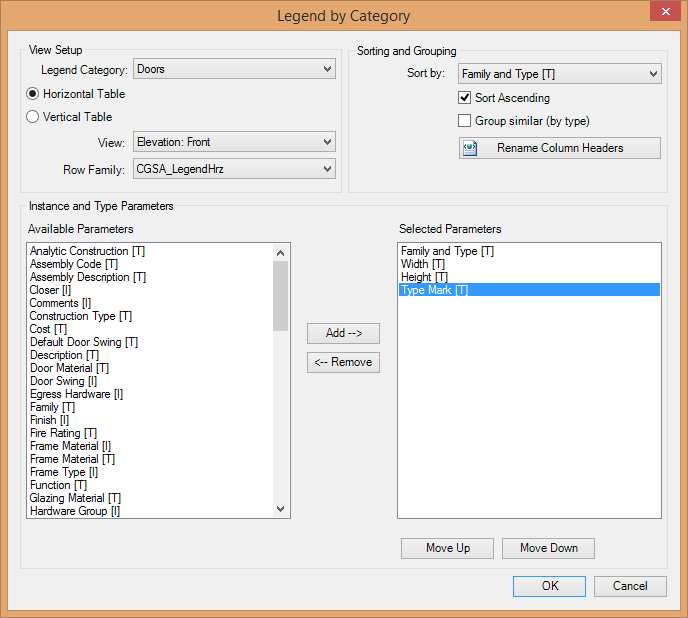 The sub-tools are: Select Category, Select Type, Select Bounding, Select Host, Select Hosted and Select Workset. 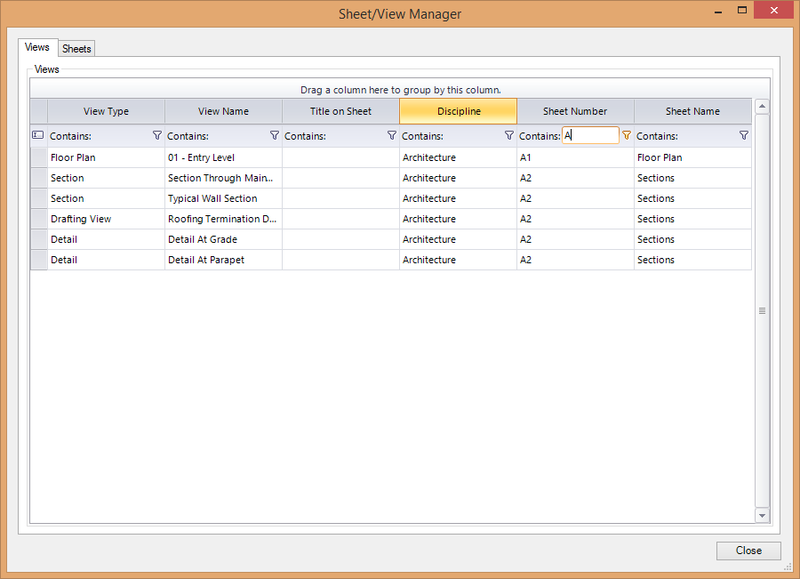 An options window is then displayed allowing one to select all matching elements in the project or in the view. That's nice integration. 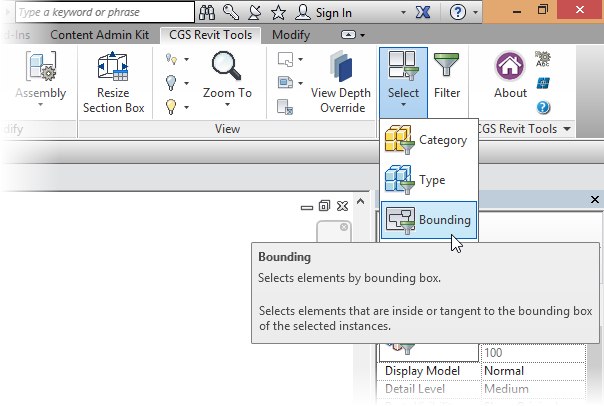 The Select Bounding tool selects the intersecting elements. 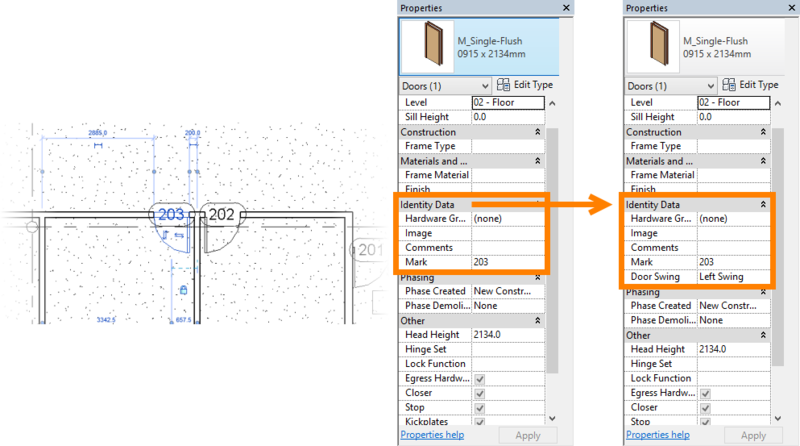 The Filter tool allows one to drill down to a fine level of detail and select elements based on their properties, such as phase, room, etc. 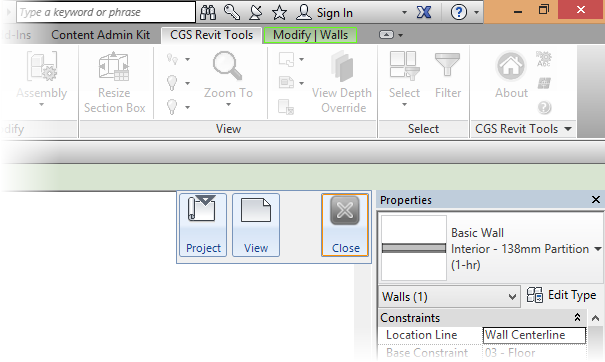 The last panel is CGS Revit Tools. 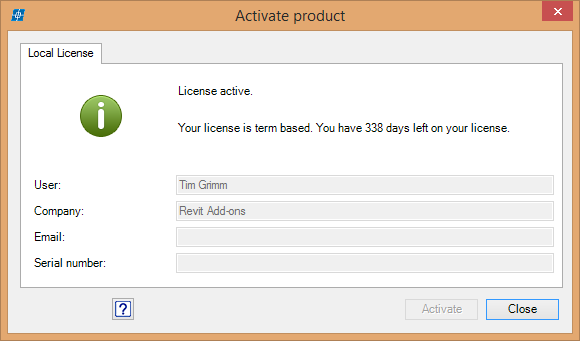 It contains About, Settings, License and Help tools. The Help tool opens the CGS website. Whew, that's a lot of tools! 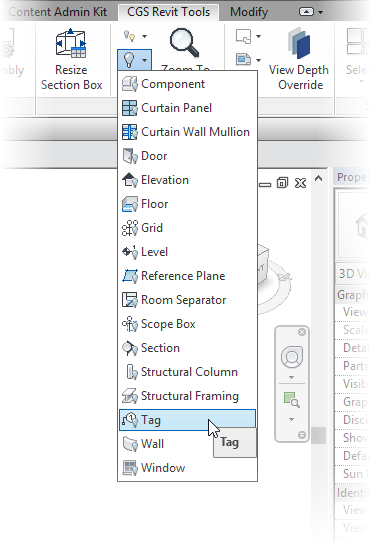 While there may be better add-ins available for individual functions, the CGS Revit tools offers a wealth of tools conveniently located on one ribbon tab. Right now CGS is offering a 15% discount or a free Samsung Galaxy tablet with a purchase of over USD 1,000. 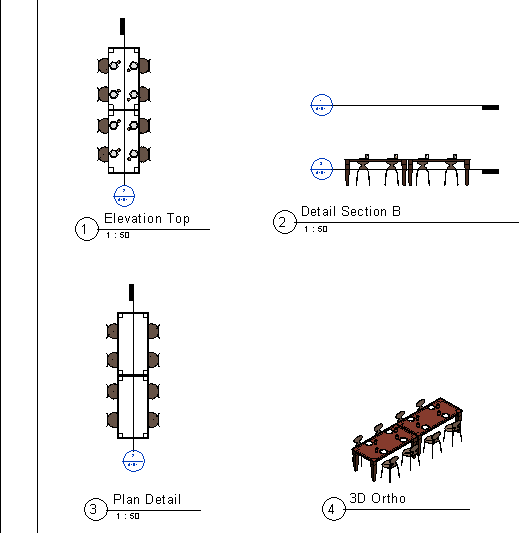 Related: Other Revit Add-ons product reviews.